University Teaching and Learning as Story Telling: Sabbatical Leave Project, 2011-12. Cooperative Research Project on Ecological Education with the Groupe de recherche sur l'ecoformation (GREF) based at l'Institut de Formation Continue, Universite Francois Rabelais de Tours and Universite Paris 8, France. Chair, University Publications Committee, 2004-2011. Men of Distinction, International Bibliographical Centre, Cambridge, England, 1989. Woodhouse, H. (2010). Yesterday and today: Universities and the growth of the market model. In Newson, J. and Polster, C. (eds). Academic callings: The university we have had, now have, and could have, Toronto. Canadian Scholars’ Press, 121-129. Scarfe, A.C. & H. Woodhouse. (2008). Whitehead’s philosophy of education: Its promise and relationship to the philosophy of organism. In Weber, M. (ed). Handbook of Whiteheadian Process Thought. Frankfurt/Paris/ Lancaster. Ontos Verlag, 167-179. Woodhouse, H. (2005). Evaluating university teaching and learning: Taking a Whiteheadian turn. In Riffert, F.G. (ed). Alfred North Whitehead on teaching and learning: Theory and application. Cambridge Scholars Press. Newcastle-upon-Tyne, 383-409. Woodhouse, H. (2005). Introduction to Bertrand Russell’s In Praise of Idleness. London. Routledge Classics, xi-xxiii. Woodhouse, H. (2001). L'ecoulement de l'eau comme metaphore de l'ecoformation chez Whitehead. In Barbier, R. & Pineau, G. (eds). Les eaux ecoformatrices. Paris. L'Harmattan, 261-267. Woodhouse, H. (1998). Science as method: The conceptual link between Russell's philosophy and his educational theory. In Irvine, A. (ed). Bertand Russell: Critical assessments, Vol. 4: History of philosophy, ethics, education, religion and politics. London. Routledge, 110-120. Woodhouse, H. (2011). Learning for life: The People's Free University and the civil commons. Issues in Social Justice. Vol. 5. No. 1, pp.79-90. Woodhouse, H. (2011). Your money or your life! A critical Canadian perspective on the World Bank's "Reform Agenda" for higher education. International Education. Vol. 40. No. 2, pp.6-21. Scarfe, A.C., Flynn, M., Thompson, E., Regnier R., & Woodhouse, H. (2007). Toward a humanized science of the mind. Critical Notice of Riffert, F. & Weber, M. (eds). Searching for new contrasts: Whiteheadian contributions to contemporary challenges in neurophysiology, psychology, psychotherapy and philosophy of mind, Frankfurt. 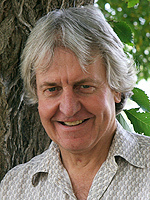 Peter Lang, 2003. Interchange. 38(2), 175-194. Woodhouse, H. (2003). Strengthening Saskatchewan communities through education. Saskatchewan Notes: Canadian Centre for Policy Alternatives. 2(3), 1-4. Woodhouse, H. (2001). The market model of education and the threat to Canadian universities. Encounters on Education. 2, Fall, 104-122. Woodhouse, H. (2001). Ultimately, life is not for sale. Interchange. 32(3), 217-232. Woodhouse, H. (1999). The rhythm of the university: Part one - Teaching, learning, and administering in the Whiteheadian vein. Interchange. 30(2), 191-211. Safr, V. & Woodhouse, H. (1999). Eastern, western, or pan-European? Recent educational change in the Czech Republic. European Education. 31(2), 72-94. Woodhouse, H. (1995). Towards a process theory of learning: Feeling the beauty of the world. Interchange. 26(4), 347-364. Woodhouse, H. & Ndongko, T. (1993). Women and science education in Cameroon: Some critical reflections. Interchange. 24(1 & 2), 131-158. Woodhouse, H. (1992/93). Russell and Whitehead on the process of growth in education. Russell: The Journal of the Bertrand Russell Archives. New Series. 12(2), 133-158. Woodhouse, H. (1987). Knowledge, power and the university in a developing country: Nigeria and cultural dependency. Compare: A Journal of Comparative Education. 17(2), 119-136. Woodhouse, H. & Enukoha, I. (1986). The hidden curriculum and beyond: A Nigerian case study. International Journal of Educational Development. 6(2), 103-116. Woodhouse, H. (1985). Knowledge and educational dependency. Interchange. 16(2), 1-16. Woodhouse, H. (1985). Moral and religious education for Nigeria. The Journal of Moral Education. 13(2), 120-131. Woodhouse, H. (2004). Privatization threatens university autonomy. Canadian Association of University Teachers Bulletin, November, A3, A7. Collins. M. & Woodhouse, H. (2003). Profs ask: Must we romanticise CLS and the "Innovation Agenda." On Campus News, January 10, 4. Woodhouse, H. (1988). Bay Street is not the only avenue open to education. The Globe and Mail. October 17, 7. Woodhouse, H. (1988). Time to draw the line: Universities must do more than feed the economy. The Globe and Mail. May 13, 7. Bloom, L. & Woodhouse, H. (1984). Providing answers without questions. The Times Higher Education Supplement. 592, March 9, 10. Co-Program Chair, “Knowledge, Value, and Meaning as Process,” An International Conference on Whitehead’s Process Philosophy, University of Saskatchewan Process Philosophy Research Unit, Saskatoon, May 2003. Co-Program Chair, “Education, Ecology, and Science,” An International Symposium on Whitehead’s Process Philosophy, University of Exeter, UK, June 1998. Program Chair, Association of Process Philosophy of Education Seventh Annual Meeting, American Philosophical Association (Central Division) Annual Conference, Chicago, Illinois, U.S., April 1993. Program Chair, Association of Process Philosophy of Education Annual Meeting, American Philosophical Association (Central Division) Conference, Louisville, Kentucky, U.S., April, 1992. Consulting Editor, Interchange: A Quarterly Review of Education, 1989-present. Member, International Advisory Panel, African Journal of Public Affairs, 2007-present. Member, Editorial Advisory Board, Canadian Journal of Education, 2006-present. Co-Director, Saskatchewan Process Philosophy Research Unit, University of Saskatchewan, 1997-present. Member, Board of Trustees, Association of Process Philosophy of Education, 1991-present. Secretary/Treasurer, Canadian Philosophy of Education Society, 1991-1993. Organizer, EFDT 854.3 International Study Tour: Education in the United Kingdom, May 1997. Organizer of an Exchange of Faculty, Graduate Students, Research, and Pedagogy between l’Institut de Formation Continue, Universite Francois Rabelais de Tours, and the Department of Educational Foundations, 1996.